This is a stylistic word cloud made using the website Tagxedo.com . I used the most common words found on my blog to create a word cloud of my shark logo. 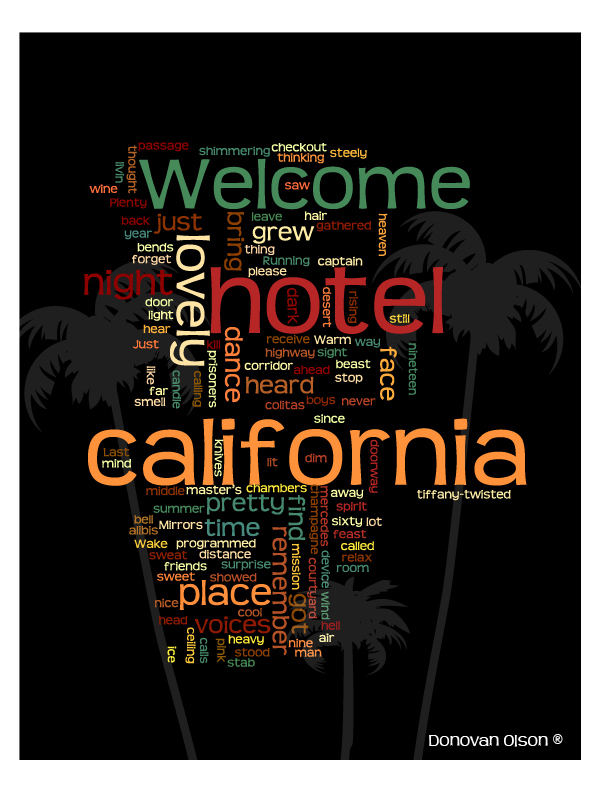 Another Graphic design project, a word cloud made with the lyrics from Hotel California by The Eagles. PDF link on the bottom.